Here at Wesnet Services Ltd, we have been providing quality Hampshire cut firewood for nearly fifteen years, to both private individuals and commercial customers in the local area. We provide free delivery within 15 miles of our base in the heart of the Southdowns at Clanfield, including: Cowplain, Waterlooville, Denmead, Havant, Hambledon, Droxford, Swanmore, Corhampton, Bishops Waltham, Wickham, Fareham (dependent on area), Hayling Island, Rowlands Castle, Emsworth, Petersfield, Liss; as well as parts of West Sussex. Below is a map indicating the approximate area of free delivery. If you are still not sure if you are within 15 miles, ring us on 02392 595147 to find out. There may be a charge for delivery outside of these areas; please see below. 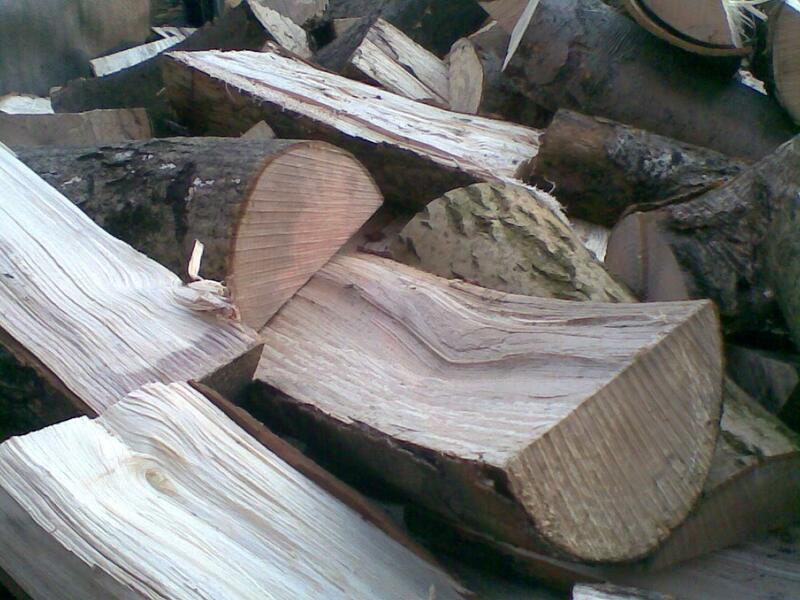 Our logs are of locally cut hardwood, cut and split to your specification. We take great care over our product to make sure that it is up to your expectation. If you have the room to take a loose load it is a more cost-effective way of heating your home than log bags. The loose load is done by eye so is not an exact science, but we have never had any complaints about the size of load. The loads comprise either a full-length pickup truck (7’6” X 5’), or equivalent trailer. We are also able to offer a double load to customers with easy access**. Cowplain, Waterlooville, Denmead, Havant, Hambledon, Droxford, Swanmore, Fareham (dependent on area), Gosport (charges may apply), Hayling Island, Rowlands Castle, Emsworth, Petersfield, Liss as well as parts of West Sussex. If you are not sure if you are within 15 miles ring us on 02392 595147 to find out. For customers outside this working range a delivery charge will be levied. Please ask for prices on ordering. Note: delivery is to drop-off point only i.e. the point to which the delivery vehicle can back up. We do not generally carry out movement or stacking, but where this is required there may be an extra charge levied to cover the extra time involved in moving the logs. Where this may be necessary please notify at time of order. Wesnet Services Ltd are aware that although the firewood is carbon neutral, the fossil fuel used to process and transport it is not. If you and your neighbours all burn wood, then group bookings can help the environment. For information on burning this wood please ask when phoning. The firewood for 2018/19 comprises of mainly ash, beech and Sycamore with small quantities of other species including birch, hazel and oak. All of the timber has come from our woodland management work, so is helping to sustain local woodland. It cannot be over-emphasised that the key to a good fire is well-seasoned wood. Seasoning only happens with time and dry, airy conditions. The water content of freshly cut logs can be as high as 50%, as in the case of oak, but is more usually 30-40%, with “King of Firewoods”, ash, being as low as 25-30% when cut in the winter, which is why it is the only wood which can be burnt green. Well-seasoned firewood will have a moisture content of around 18-20%. It is important therefore that once delivered, the logs are stored under some sort of cover to keep them dry; ideally this would be a cover only to keep rain off whilst allowing side ventilation. Keeping a few days’ supply (a week’s supply would be better, if you have the space) in the house, near the fire will reduce the water content to around 14-16 %. This is ideal for a good, warm fire.